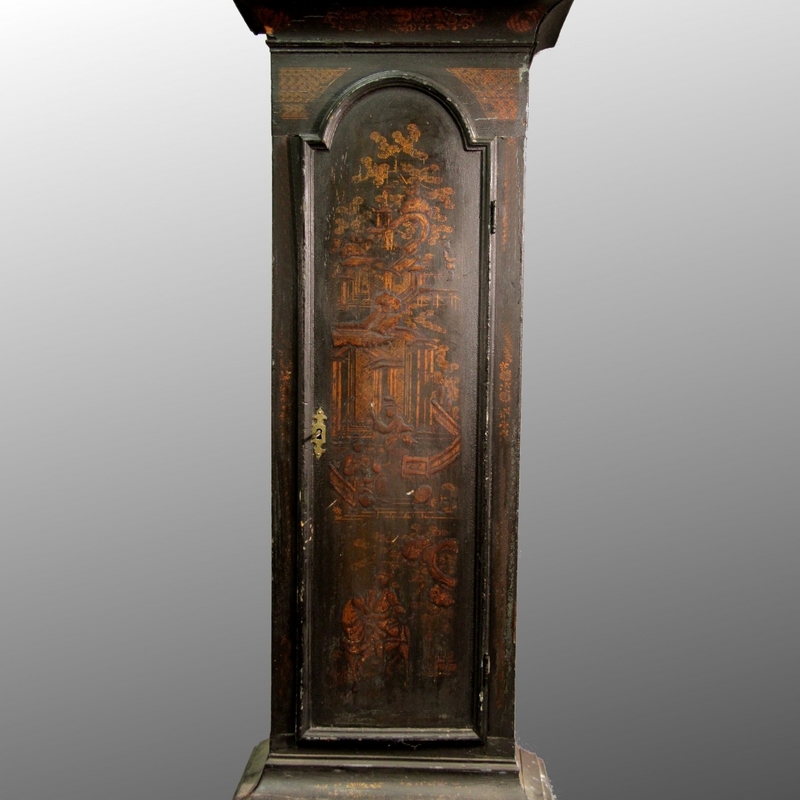 Chinoisserie, lacquer, japanning restoration to clock cases. 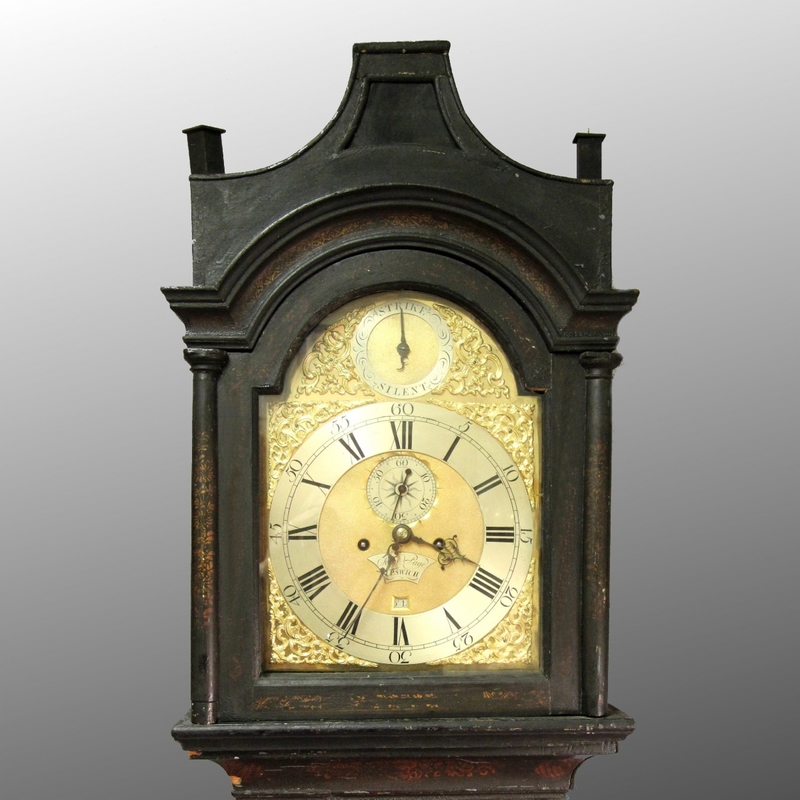 Also French polishing and other restoration. 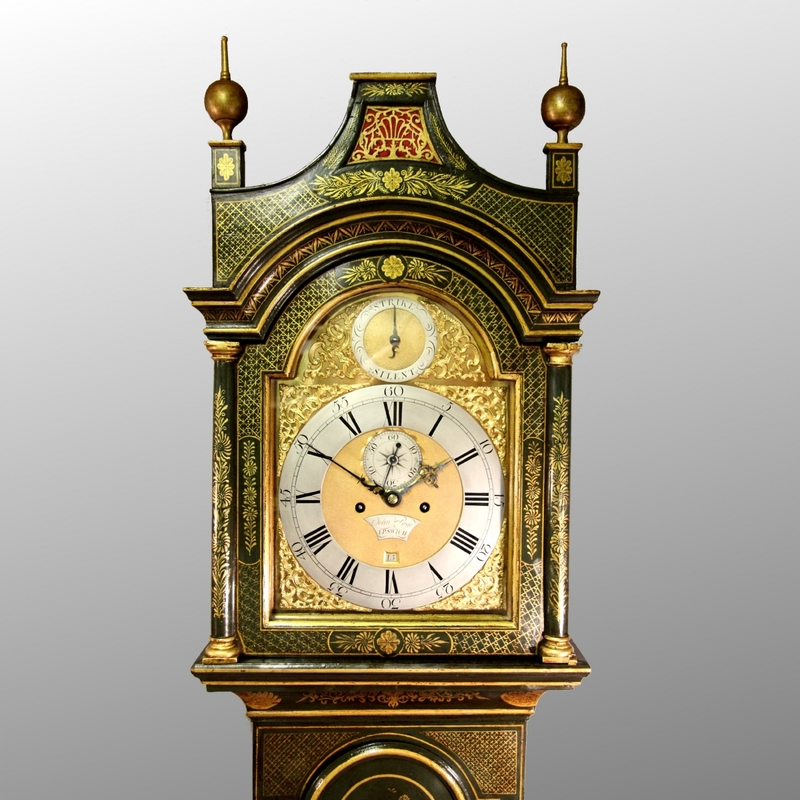 Sympathetic case restorations of the highest standards is our speciality. 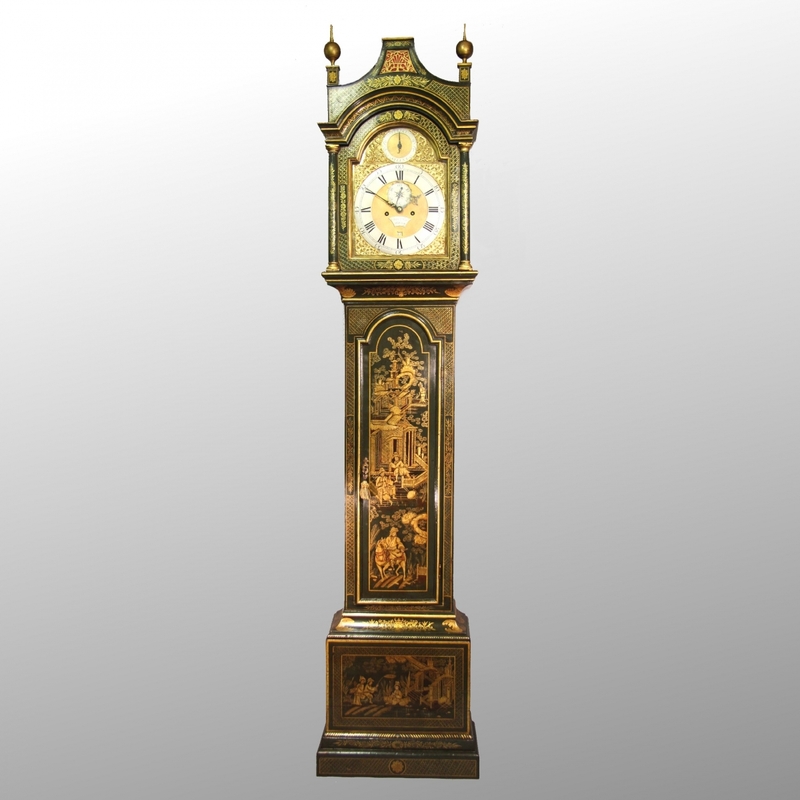 We go to exceptional lengths to ensure that a clock case never actually looks as if its just been restored. We also ensure that it does not lose the rich patination acquired with age, something which can never be effectively replicated. 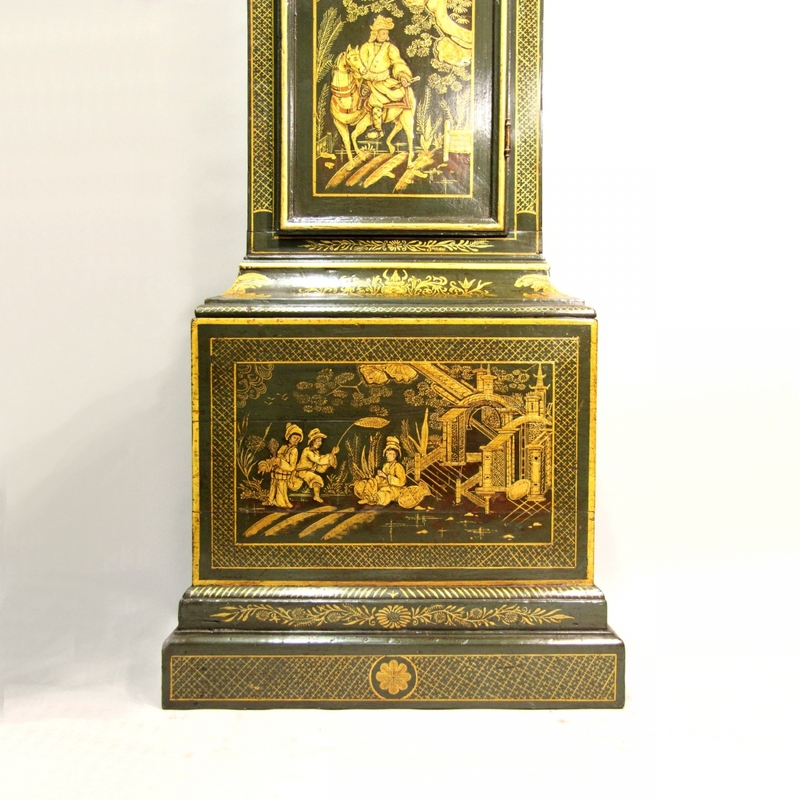 We are able to restore all types of wooden clock cases to exacting standards. 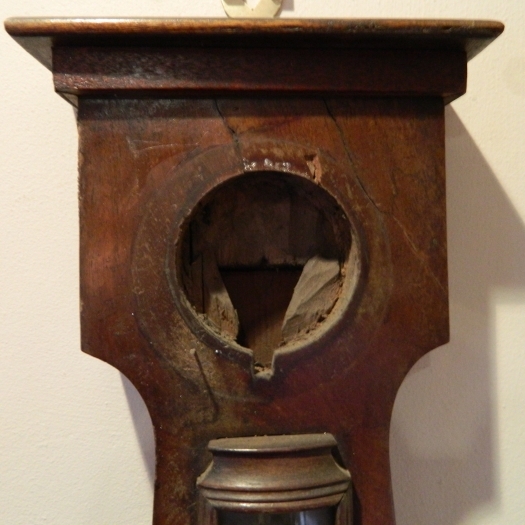 Whenever possible, we will use material as old as the piece that we are working on to enable us to match colour, grain, finish and patina. 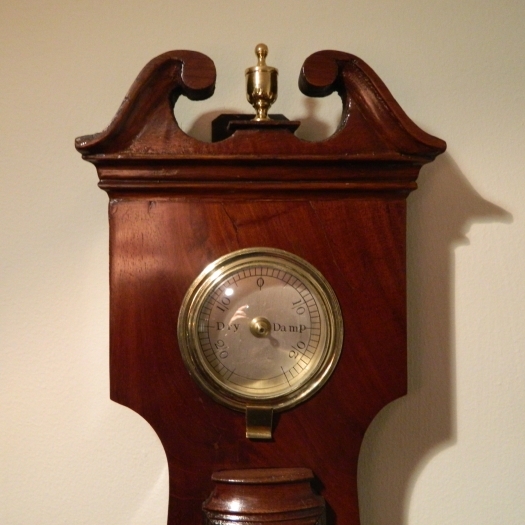 Our French polishing is carried out traditionally and we never spray it on. 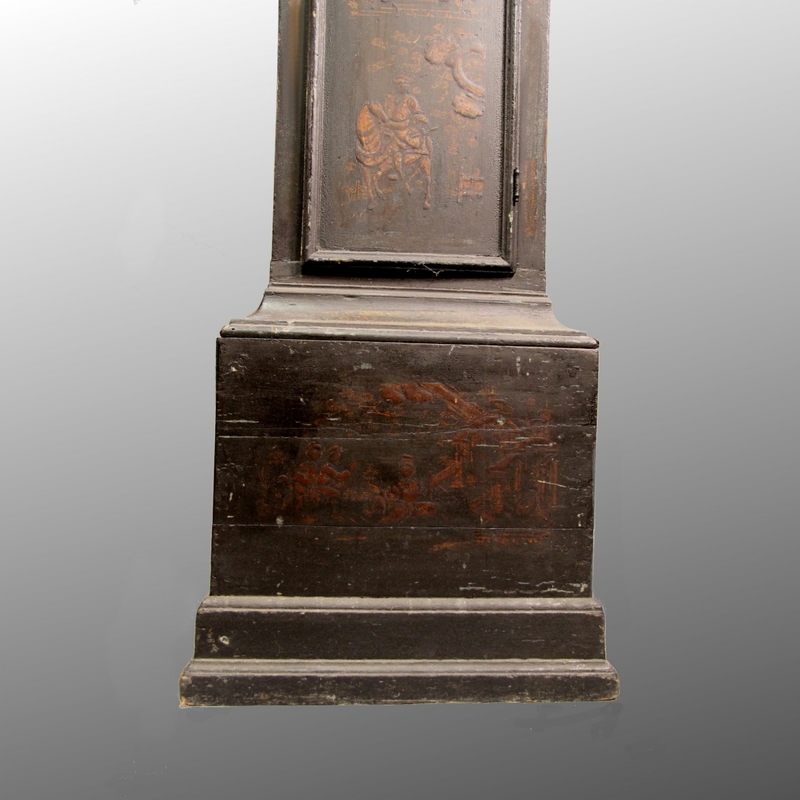 Probably our most noted specialised work is the restoration of Lacquer work otherwise known as Japanning and Chinoisserie. 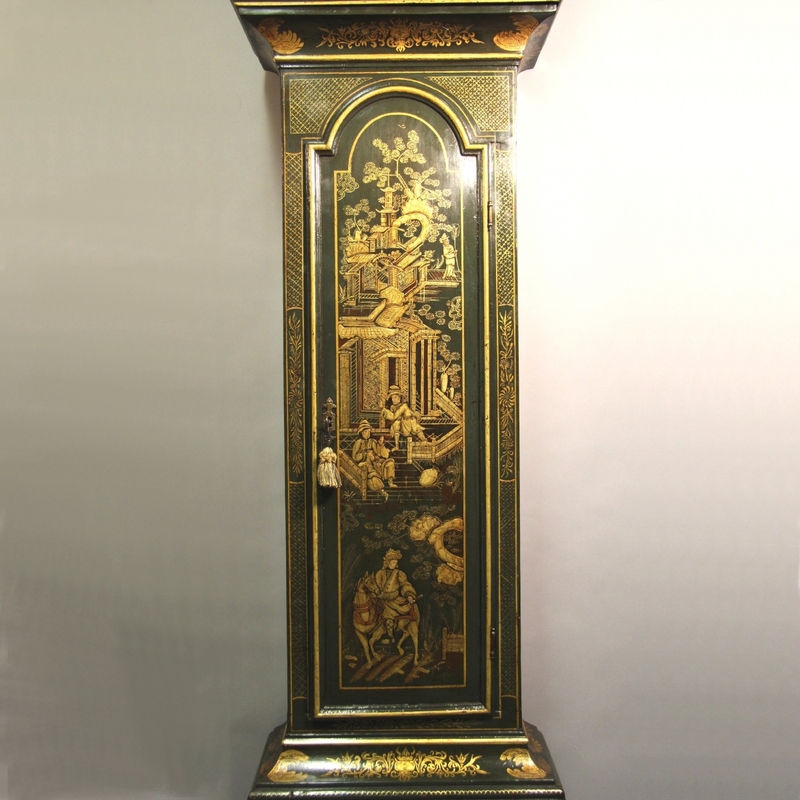 The pictures on the right show a very neglected Georgian longcase clock before and after restoration. 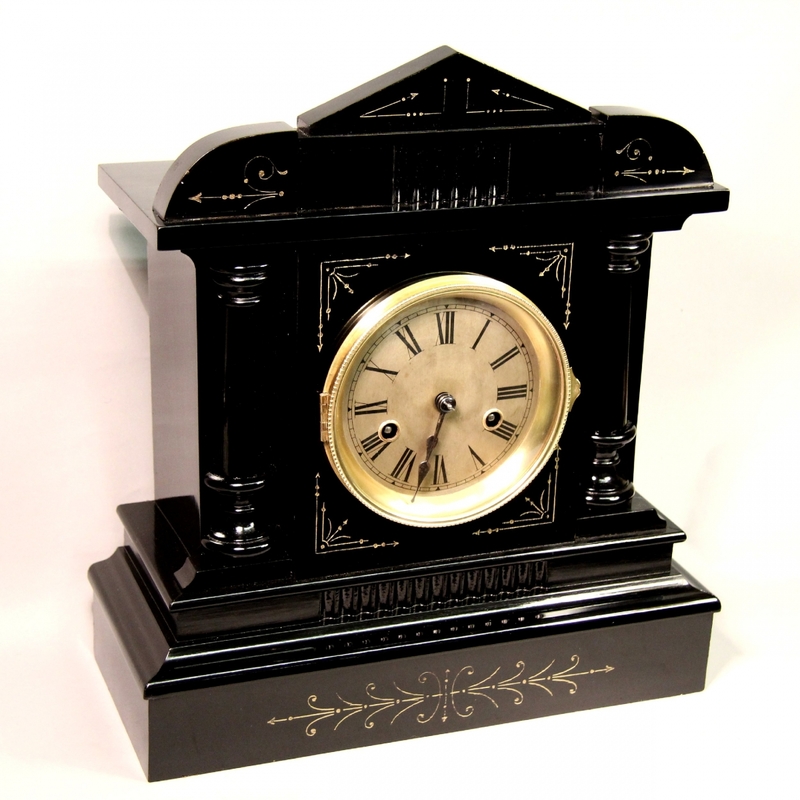 You will see that the built up polychrome work is exactly as it was originally and this particular clock case took our team a whole month of meticulous work to complete. 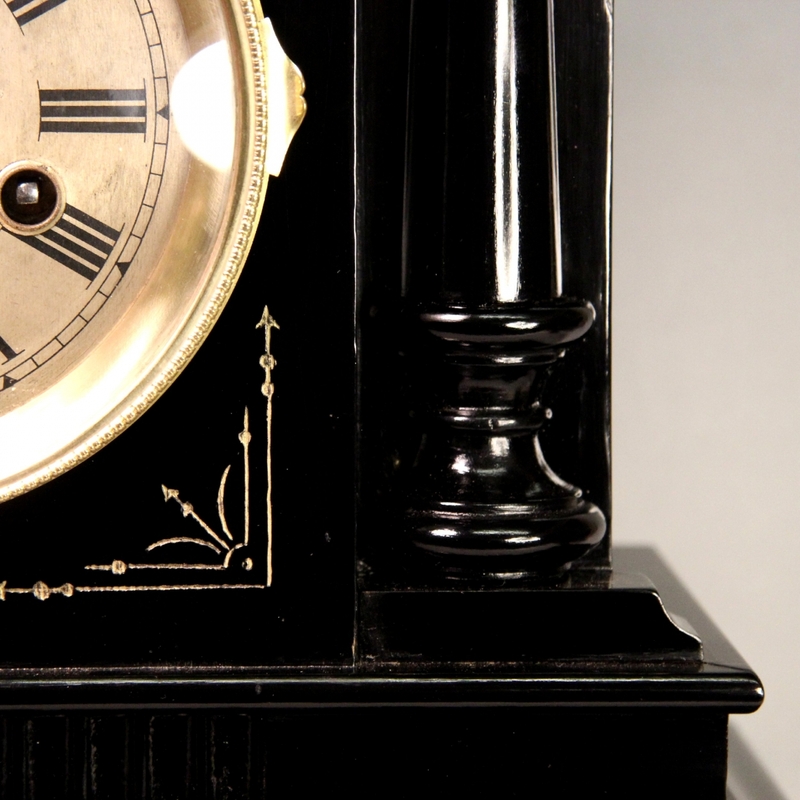 Original methods were used and the work was finally aged to also look original. 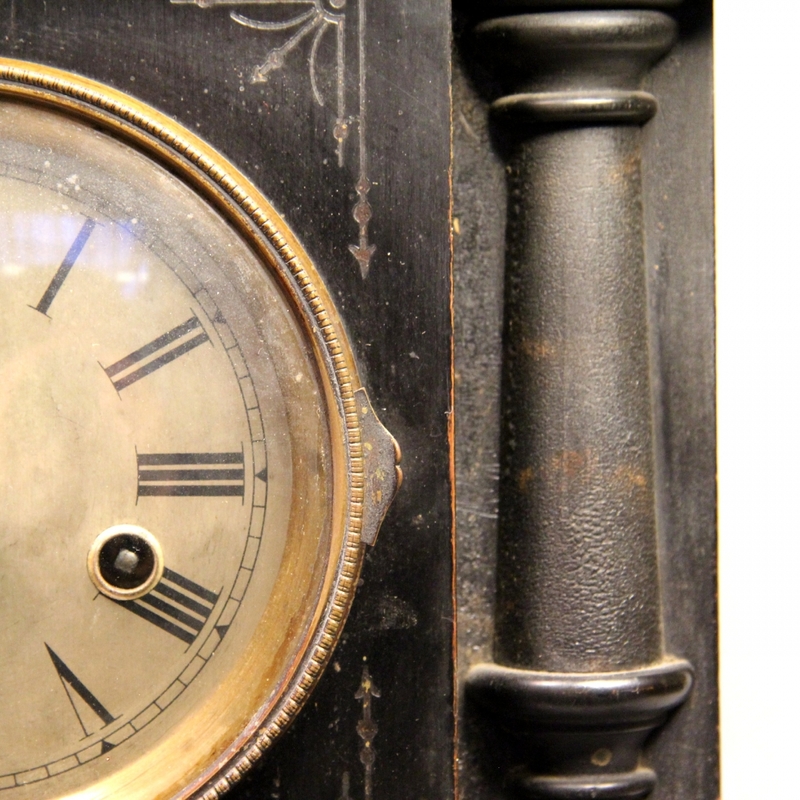 We are one of the few remaining people in the UK that can carry out such work to the required exacting standard. If you have a Clock, Timepiece or Barometer that is need of Case Restoration or Valuing for insurance or probate then please contact us today for a free no obligation estimate. 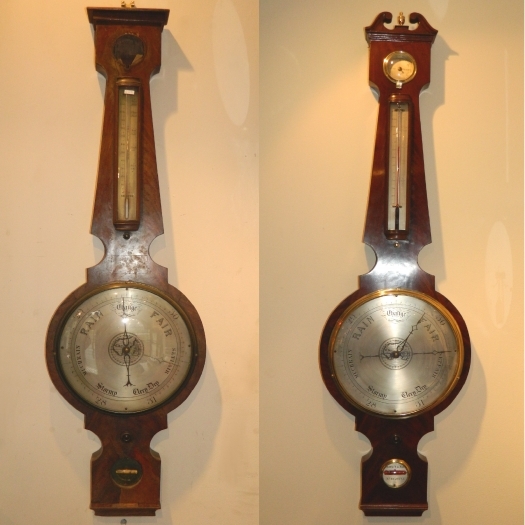 Other images on the right are of a Georgian barometer before and after restoration. The veneer on the lower portion was completely missing so we had to carefully select and old piece from stock and match the grain, flow and colour etc. before laying and polishing. The top was incorrect and the horns were missing, we made this from scratch. 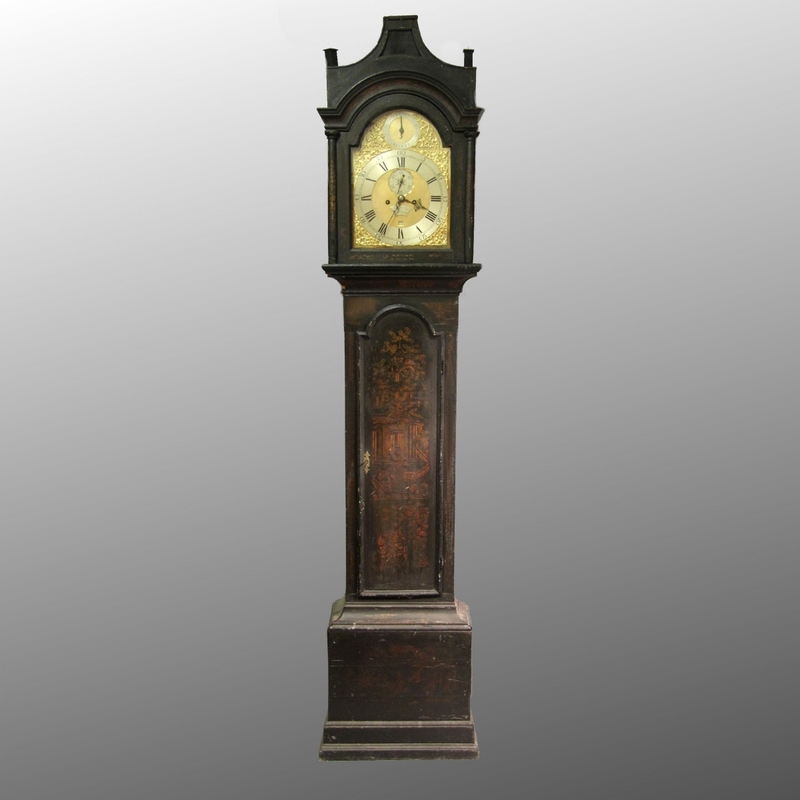 All other missing parts were sourced and we then fully restored the remaining parts, dials, bezels etc. 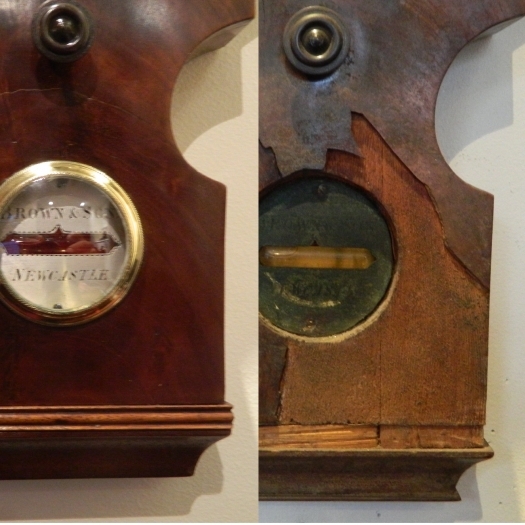 The lower pictures show a pine mantel clock before and after restoration, it was repaired, the curdled old finish removed and re-French polished by us at our Bournemouth workshops. 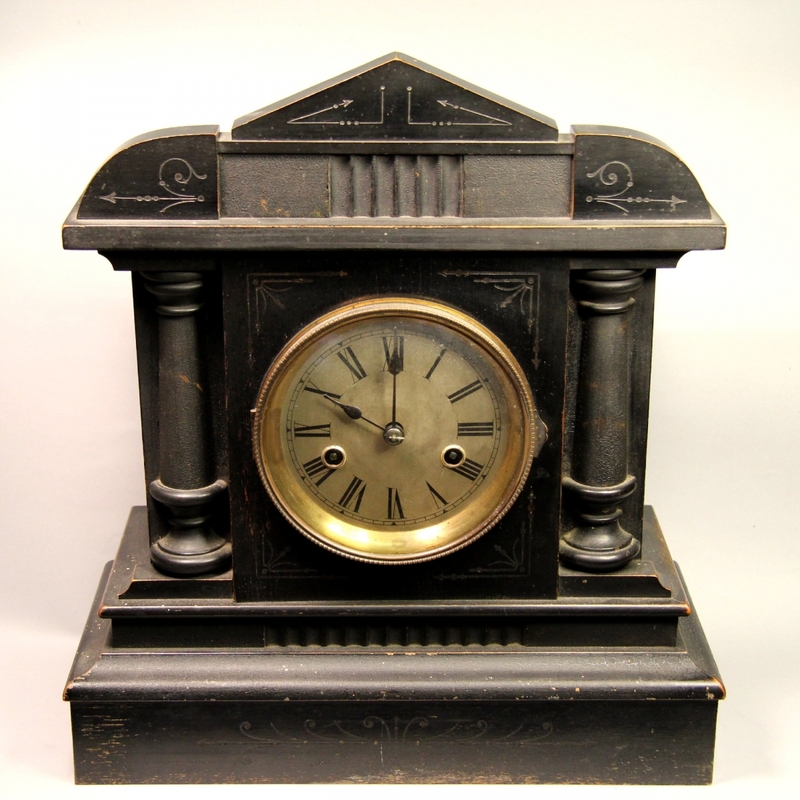 Never throw a clock case away - it can usually always be restored no matter how bad it is.